Cardinal Raymond Burke is urging faithful Catholics to "storm heaven" by joining with him once a month in the Mass and the Rosary to pray for hope and guidance out of the current "confusion" in the Church and the world. 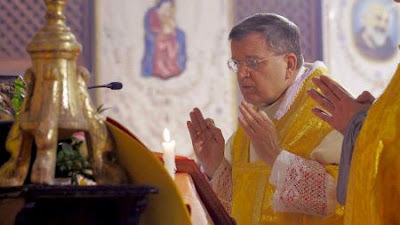 The lay Catholic organization Catholic Action for Faith and Family has put up a page on its website for "Rosary Warriors" to sign on to join the effort, which Cardinal Burke launched with a Mass in Rome on December 8. For more information visit their page here.